Last month, I had the opportunity to embark on the trip of a lifetime! My dear friend from childhood recently relocated to Dubai for work, and she invited me to come visit her. To be completely honest, my first emotion that I felt about Dubai was fear. Why? Looking back now, I feel very stupid for having felt scared to go to Dubai, but in the news articles I kept reading about tourists being imprisoned for false crimes, and I was nervous that something that like would happen to me. I was COMPLETELY WRONG. Dubai is extremely safe. Everyone is welcoming and kind! WHAT TO KNOW BEFORE YOU GO: The best months to visit Dubai are during their “winter months” which are November-March. They say that there are two seasons: “hot” and “hotter.” Luckily for me, I went in Mid-March and it was absolutely PERFECT. Every day was filled with shining sun and 80+ degree weather. It was paradise. 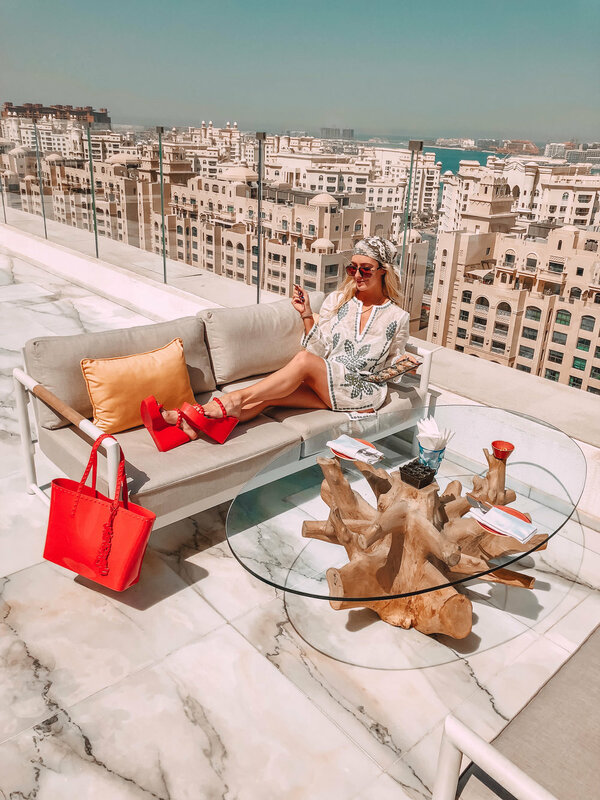 WHERE TO STAY: Raffles Dubai. I did an entire campaign with Raffles Dubai, a Five-star Luxury Hotel right in the center of it all. See the photos below! WHAT TO SEE: The tallest building in the world, the Burj Khalifa. Thank you, Burj Khalifa for the complimentary access! It was so breathtaking seeing the world from 2,716.5 feet in the air! WHERE TO EAT: Definitely stop by Raffles Hotel for their decadent Floral Afternoon Tea courtesy of Forever Rose London. Imagine being surrounded by red roses and golden trays of tea sandwiches, but better. My favorite selections include the waygu beef sliders, hibiscus-cured salmon, lavender-honey macaroons, and rose petal-infused scones. A huge thank you to Chef Wolfgang and Raffles Dubai for treating me to such a lovely experience. 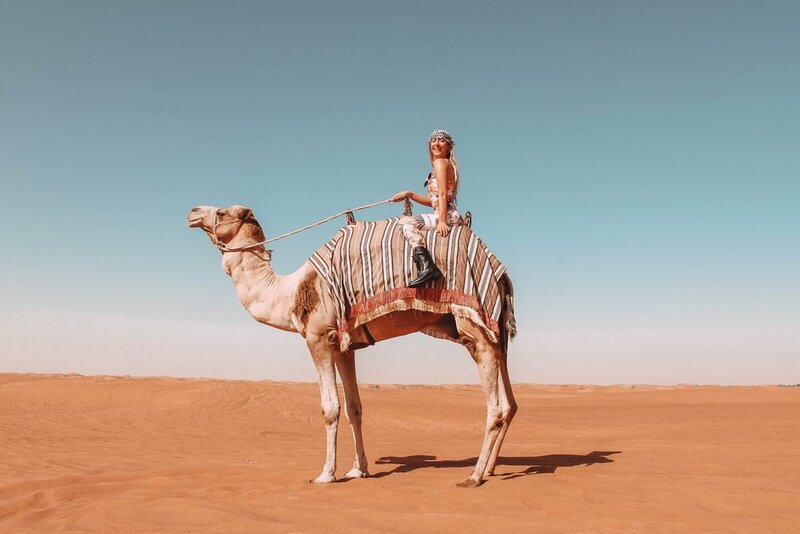 HOW TO ADVENTURE: If you’re visiting Dubai you MUST contact Fun Tours Dubai to book a desert safari. As an American visiting Dubai for the first time, I really wanted a tour company that was safe AND fun. This was both! Videos can’t show how much fun we had on our trip! Everything was exceptional, especially the awesome service and the wonderful staff who helped us book our experience. They even pick you up and drop you off right at your hotel! My favorite parts were sand boarding and camel/ATV riding.